Dominic Barberi was born to a poor family of Italian farmers in 1792. Orphaned at the tender age of eight, an uncle and aunt raised him in the town of Merlano. Young Dominic was not sent to school, but instead was taught to shepherd sheep. But the child always found time to pray as he tended the sheep, and he also diligently taught himself to read and write. When Napoleon closed all the religious houses in Italy, Dominic became acquainted with several Passionists living in exile near his town. During this time, Dominic experienced a divine message to join the Passionists and one day go to England. Dominic had promised God that if he were not drafted, he would become a Passionist. Unfortunately, he soon forgot his promise. Dominic’s uncle and aunt had also planned a marriage for him. But just before the arranged marriage was to take place, he slipped away and instead entered the nearby Passionist monastery at Vetralla. Dominic studied eagerly, for he had a brilliant mind. He was ordained in Rome on 1 March 1821. For the next nineteen years he shared the life and ministries of the Passionists in Italy, but his heart was in England. In 1833, Dominic became a delegate to the General Chapter. In this capacity, he was able to plant the seed to send missionaries to England. By the time of the 1839 General Chapter, changes in the Congregation were afoot. The new General Superior was the charismatic Father Anthony Testa. By April of 1840, Father Testa decided that Dominic should go to England, though he worried for Dominic’s failing health. He sent him with three companions to Belgium to make a foundation in that country with the hope that from Belgium the mission to England could be realized. Dominic established the first Passionist monastery outside of Italy in 1840, at Ere in Belgium. Finally, the time came to establish the first Passionist residence in England. Father Dominic and a companion went to England and obtained a house at Aston Hall in Staffordshire. One of his first ministries was the celebration of the 1842 Holy Week services. Dominic felt blessed to receive the famous Anglican John Henry Newman into the Catholic Church. “What a spectacle it was for me to see Newman at my feet! All that I have suffered since I left Italy has been well compensated by this event. I hope the effects of such a conversion may be great.” On the following Sunday, Blessed John Henry Newman and four companions went to the Catholic Chapel of St. Clement’s at Oxford for Mass. All England soon knew that they were now Roman Catholics. English vocations were few, but Dominic was deeply consoled by the arrival of Father George Spencer who received the habit on 5 January 1847. Spencer was a convert of some years and already ordained when Dominic came to England in 1841. 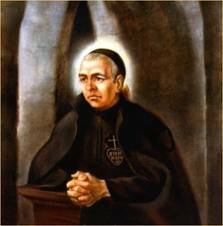 Now as a fellow Passionist, he proved a great comfort to Dominic and the Passionists. In August, 1849, Dominic was travelling to Woodchester from London. About five miles from Reading, Dominic got desperately sick. He was taken off the train to be attended by a doctor, but there was not a room for him at the small station of Pangbourne. Father Louis put him back on the train for Reading. He died there from a heart attack at 3.00 pm on 27 August 1849. In the tradition of Blessed Dominic (he was beatified by Pope Paul VI in 1963), Passionists would be aware that ecumenism is an essential part of their heritage. At the time of the Second Vatican Council, Passionists accepted with joy the call to engage in ecumenical ministries. The “renewal” of the Congregation in the spirit of Vatican II would challenge the modern Passionist to this ecumenical mission.